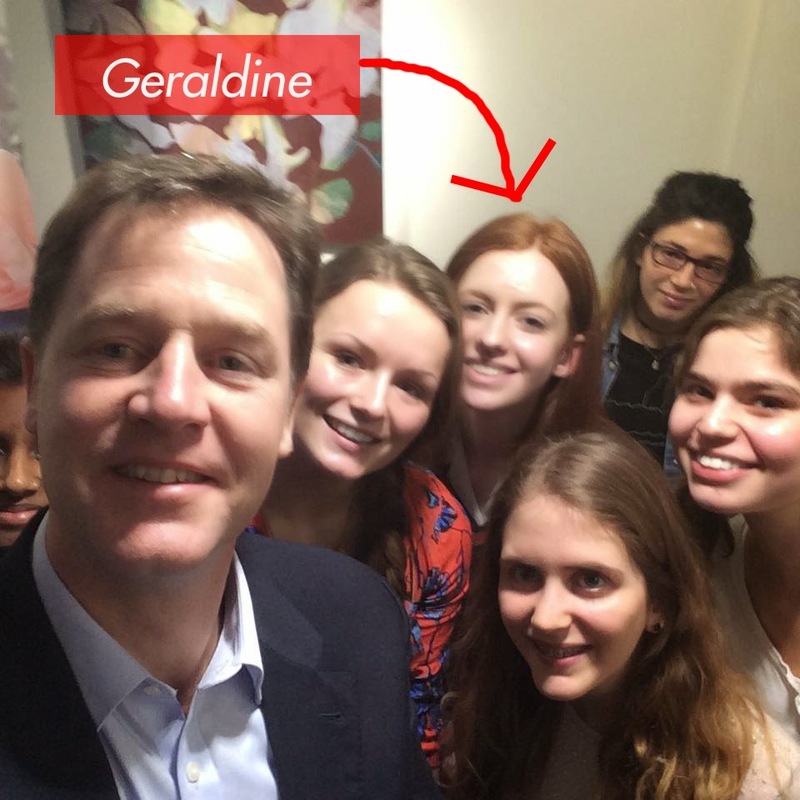 Geraldine O’Reilly, 16, discusses whether on meeting Nick Clegg, she feels the recent Lib Dem election pledge of £150m funding to child mental health services will impact others like her who have experienced NHS care. For someone who had, for many months, imagined how and what they would speak about if given the platform to discuss adolescent mental health issues, receiving an email inviting me to a meeting with a politician to discuss exactly that was a pleasant surprise. I immediately knew I would agree. For a long time mental health has been a taboo subject, one that is so intensely complex yet left untouched, which has only worsened the possibility of treatment and recovery for those suffering. Mental illnesses have been sidelined and belittled in the past, however a recent announcement by Deputy Prime Minister Nick Clegg, currently campaigning for the general election on May 7, to invest £150m into child mental health services over five years has given myself and many others hope that a change in attitude towards mental health is coming. Stepping into a room at the Tavistock and Portman Hospital with 9 other young people and our consultants, we were briefed on what the hour-long meeting would involve. We would be expected to discuss our experiences of treatment and what we think should be improved using the money the government has stated it will invest. I was in fact mid-sentence when Mr Clegg walked in, and unsurprisingly (given that he is a politician), he was incredibly charming. He made everyone feel very well listened to, even when his ‘people’ were rushing him to finish he did give a seemingly genuine front that he would rather spend many more hours discussing the topic. It was a rare occasion when, as a group, we could share our individual experiences with someone outside the medical profession. There is no single way that people manage to cope with their mental difficulties, but what we all agreed on is that the greatest problem is that there is this great stigma about suffering a mental, rather than a physical condition. The government has seemingly avoided focusing on this aspect of life, even though approximately 1 in 4 of the UK’s population will experience a mental illness in the course of a year. Therefore if you aren’t affected, then someone around you is, and if you can’t think of anybody, it is most likely because they haven’t told you, due to the stigma that surrounds mental illness, preventing people from opening up and seeking help. Think of the many awareness campaigns in the media that are devoted to physical diseases. Even the most rare illnesses are out there being discussed and yet, when you experience a mental condition, you feel extremely isolated. In my own case, it was depression and anorexia. The relative absence of open discussion of these serious conditions meant that I was painfully unsure where to look for help. I was lucky enough to have a sympathetic GP who put me in touch with CAMHS, the Child and Adolescent Mental Health Service, part of the NHS, which neither I, nor my parents had even heard of. The professional help that I have received has greatly helped me and after approximately 2 years of treatment, I can confidently say that I see a future where I am not restricted by these devastating illnesses, a future where I can explore and enjoy life without being bound to illogical and undeserved thoughts. For the first time in a very long time, I have genuine hope. The process has not been easy: this general lack of education around mental health issues means that your closest friends do not know what to say to support you. Your parents are no better, even though I have no doubt that they desperately want to help. I realise that raising awareness is something that does not happen overnight but if some of the funding announced by Nick Clegg could go towards this area, many people would be helped, who at the moment, struggle in painful isolation. I can’t help but have faith that things are going to improve. 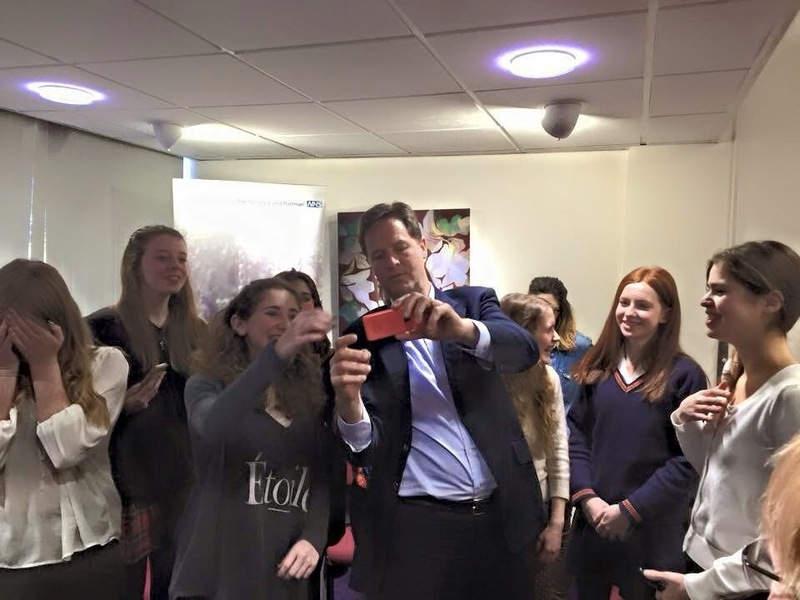 This might just be the naïve view of a 16-year-old girl that has not yet understood the general election process, but from meeting Nick Clegg and discussing the topic with him directly, I genuinely believe that we will see a change.